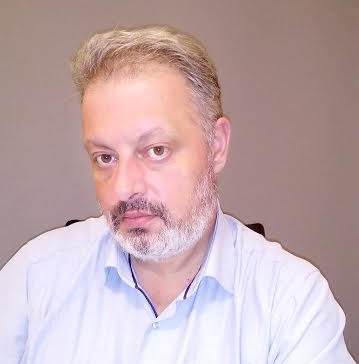 Dr Archimidis Koskosas, is a Medical Retina (MR) and Vitreoretinal (VR) Consultant in the 1st Department of Ophthalmology of Aristotle University of Thessaloniki (AUTH), in AHEPA Hospital, Thessaloniki, Greece. He received his MD from AUTH in 1995. He pursued residency training in Ophthalmology in the 1st Department of Ophthalmology of AUTH and in Moorefield’s Eye Hospital, London, UK, from 2000 to 2004. He joined the 2nd Department of Ophthalmology at the AUTH from 2005 to 2007 as University Associate, in Medical Retinal Services. He completed his Fellowship in VR surgery at the Royal Victoria Hospital, Belfast, UK in 2010. During his fellowship from 2008 to 2010, he participated as sub-investigator (principal investigator Prof. Usha Chakravarthy) in clinical trials regarding the efficacy and safety of anti-VEGF treatment in wet Age-Related Macular Degeneration (AMD) and Diabetic Macular Edema patients. In 2010 he received his PhD (Evaluating Phenotypes of AMD using OCT) at the AUTH, Greece. He participated as sub- investigator (principal investigator Prof. Fotis Topouzis) in a large population-based study, The Thessaloniki Eye Study. Dr Koskosas is also a member of the research team in Laboratory of Research and Clinical Applications in Ophthalmology, in the 1st Department of Ophthalmology at the AUTH. Dr Koskosas research interests include ophthalmic epidemiology, risk factors for diabetic retinopathy and AMD, imaging, surgical and medical management of retinal diseases.